Forget those ugly tomato cages that blow over in the wind, take up room in your garage, and generally make your garden look awful. Forget the constant tying and re-tying of tomato plant stakes. We'd like to introduce the Veggie Cage - please read about this wonderful product and order online today! This revolutionary tomato cage expands to a whopping 7 feet high and conforms to the growth of the tomato plant while disappearing from view. It requires no tying and can be securely fastened to a stake so that it won’t blow over in a storm. It collapses flat and requires virtually no storage room. The unique spiral design of these tomato cages supports the natural growth patterns of tomato plants while allowing gardeners the room to properly care for their plants. Whether you are an advanced tomato gardening expert or a novice planting your first tomato plant, we invite to browse this tomato gardening resource to learn about the use of the Veggie Cage Tomato Cages, as well as picking up tips for growing tomatoes and making tomato dishes. Our Veggie Cage tomato cages offer an exceptional and natural support system that accommodates tomato plants growing up to 7 feet tall. Plant Supports - More than just tomato cages, use Veggie Cages anywhere you need garden plant supports or plant stakes. As flower supports, they are wonderful for Clematis, Dahlias or for creating beautiful standing Morning Glory towers. Growing Tomatoes - Growing Tomatoes in the home garden has become one of the most popular pastimes in the world. 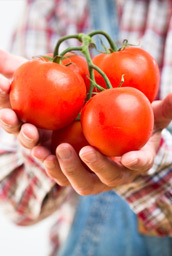 Learn more about growing tomatoes from these tomato growing tips. 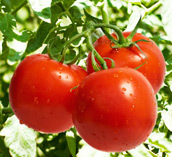 Tomato Varieties - Check out this interesting page about the endless varieties of tomato plants. 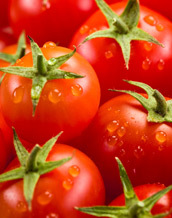 Tomato History - You’ll enjoy this brief history of the Tomato featuring the classic tomato debate… "Fruit or Vegetable". Tomato Seeds - Before you need tomato cages, you need tomato seeds. Check out our picks for some of the top places to get your tomato seeds. 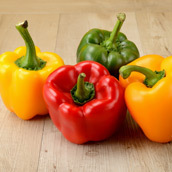 Tomato Recipes - The favorite recipes of our vistors and tomato lovers worldwide. Make your lawn and garden greener by using XGrass Synthetic Turf. This artificial grass product requires no water, no fertilizer, and virtually no maintenance. While we have exited the tomato gardening business, we are excited to be helping our friends at Rachel’s Grove, an upscale women’s clothing boutique in St. Louis. The owner is a friend of ours and she has a beautiful store located in Chesterfield Valley as well as an online dress boutique. Primary clothing lines include dresses, shirts and sweaters from Jude Connally, Katherine Way, Sarah Campbell, Sail to Sable, and Dizzy Lizzie as well as undergarments from Commando and jewelry and other accessories from Anna Beck and Spartina.